Well once again, its been a few weeks since I've posted but this time it was because I was traveling all over the U.S. for various occasions. Stay tuned for that post. But for now, let's get down to business. I've mentioned a few times how much I enjoy breakfast foods. I've never attempted to make French Toast before, but when I saw this recipe I thought it was the perfect chance for me to attempt this indulgent dish. It was SO delicious & SO easy!!! The only thing I think I would change is halving the recipe because this lasted us DAYS. It is a great dish for company or large families. Otherwise, I suggest halving the recipe listed below. 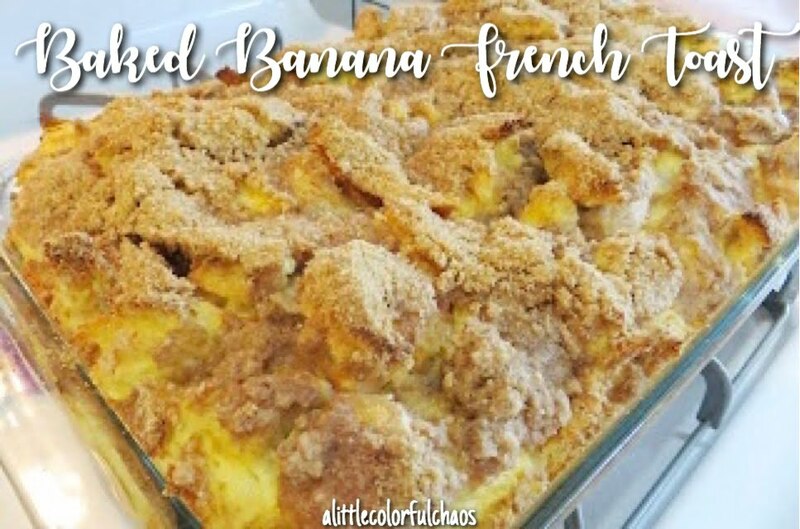 I did change the recipe just slightly (made it a tad healthier...if that's possible) but the original recipe can be found at Mormon Mavens in the Kitchen. This was my first recipe I've tried from them, but I will definitely be trying more! Cook time according to Rachel: 1 hour 25 mins minutes & 3 hours of soaking time. If you want to prep ahead of time like I did, add an additional 12 hours. Grease 9x13 pan with butter or pam. Tear bread into pieces and place evenly in the pan. Mix together eggs, milk, cream & sugar. If making the night before, store in fridge or even refrigerate for a few hours. In a medium bowl mix together flour, brown sugar, cinnamon & salt. Slowly add in butter so it mixes well & turns into tiny pebbles. Sprinkle the crumb mixture over the bread & bananas. Remove & let sit for a few minutes. I sprinkled a little cinnamon & sugar on top.